Providing you the best range of reverse check valve, screw in cartridge with effective & timely delivery. 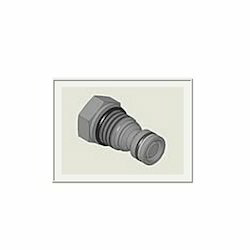 We hold expertise in supplying and trading a premium array of Reverse Check Valve, Screw in Cartridge. These reverse check valves are designed to allow free flow in one direction while supporting leak-free closure in the reverse direction. Our reverse check valves have excellent strength and long lasting functionality for hydraulic applications in different industries. Additionally, these reverse check valves are very reliable and provide low maintenance. Looking for Hydraulic Check Valves ?